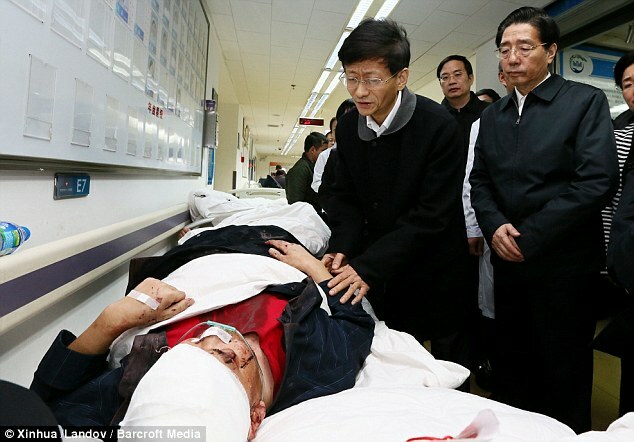 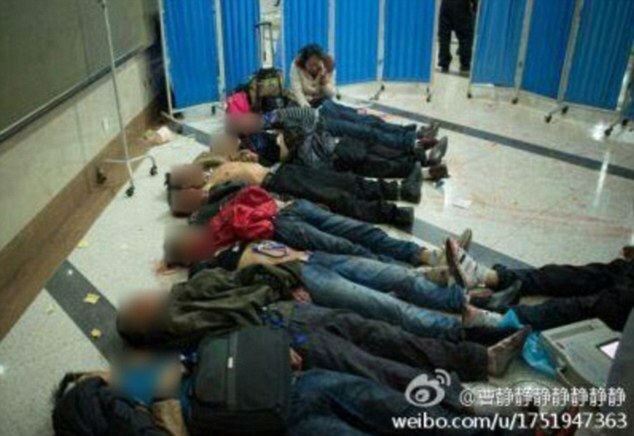 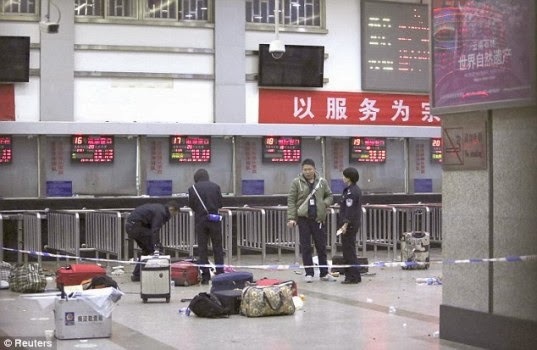 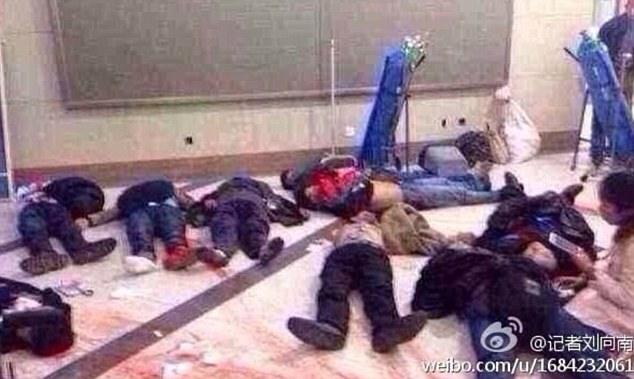 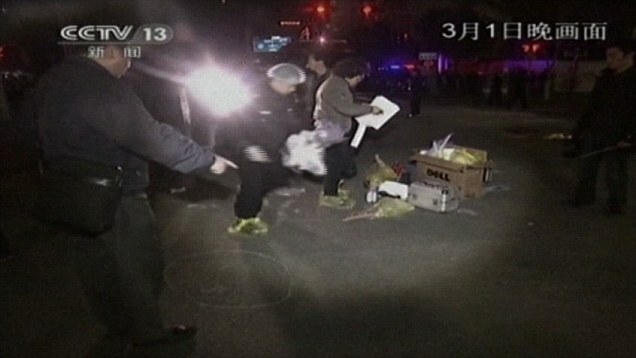 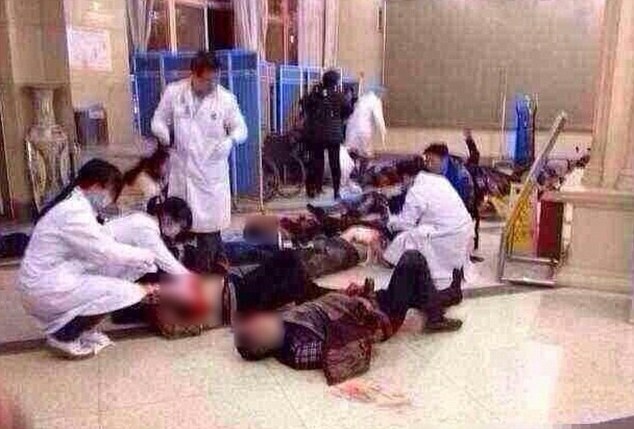 A knife-wielding terror gang, consisting of eight men and two women, attacked people at a Chinese Railway station on Friday February 28th, killing at least 33 people and injuring 143 others, according to state TV. 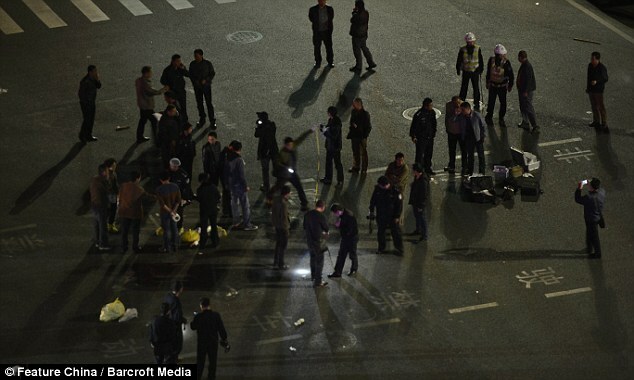 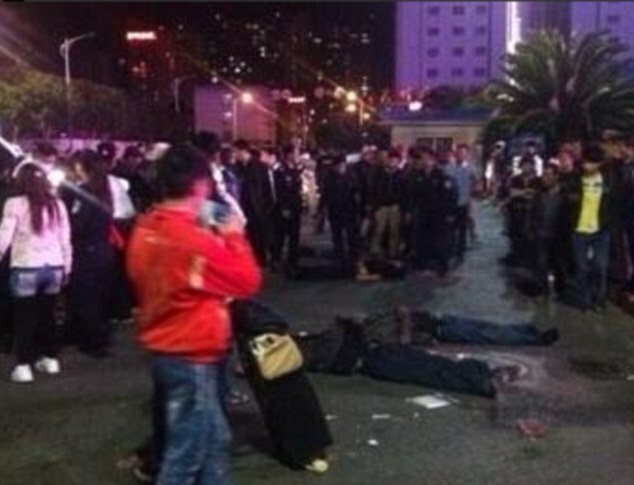 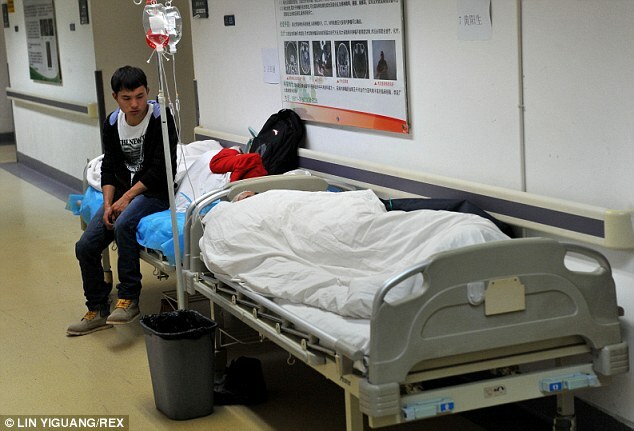 The gang launched the horrific attack at Kunming railway station in Yunnan province at around 9pm local time on Friday, in what the Chinese government have described as 'an organised, premeditated, violent terrorist attack'. 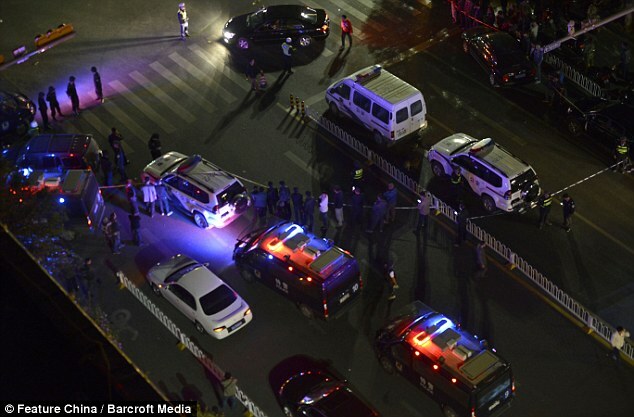 Four of the attackers were killed by police. 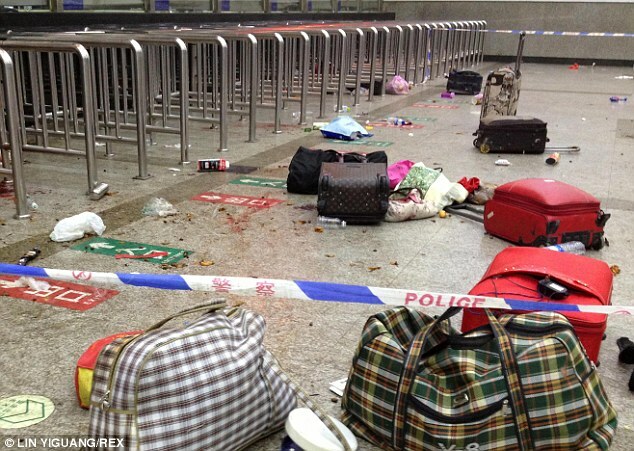 Photos which were posted online by survivors who took photos of the carnage, showed dead bodies, pools of blood and abandoned luggage scattered across the terminal floor after the attack. 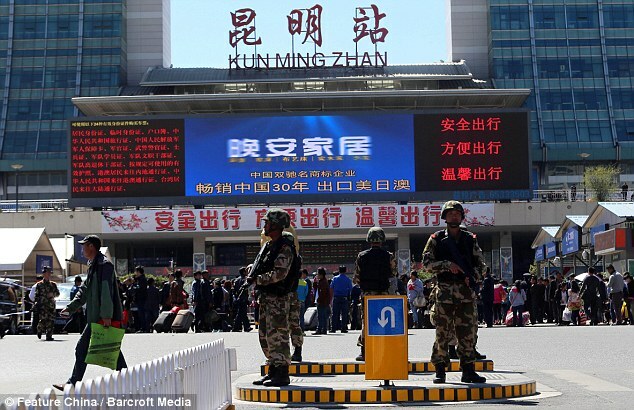 The Chinese government have blamed the attack on militants from the remote far western region of Xinjiang, which is home to tensions between the government and Muslim separatists, Xinhua News Agencyreports.